America is still one of the most technologically advanced countries in the world, and we continue to drive forward and lead the way in all fields! Not least of which is medical science. We are developing cures, and treatments at an astounding rate, and from all walks of life. There are teenagers who are revolutionizing the way we track and treat cancer for science projects. There are bio engineers developing smart viruses to attack unhealthy organisms. There are simply too many examples to list in this blurb! Suffice to say, death through disease and illness should not be nearly as commonplace as it is, and most of it stems from lack of health coverage. The other half is availability and funding of these wondrous medicines and treatments! Nano technology is not relegated to Science Fiction movies anymore, nanotechnology exists here and now! What's more, nanotechnology is extremely cost effective, less invasive, and more successful than current treatments out there, or they at least have the potential to surpass conventional medicine. This is the future of medicine, when we utilize our significant technological prowess to help solve our problems to include disease, and illness! We can map the inner-workings of an organ without using probes, tubes, or biopsies. We are able to make diagnostic decisions based on imaging, and we are only improving as we get a better understanding of ourselves and these technologies. Another fantastic innovation we have is lasik eye surgery and other laser based procedures! Granted these procedures have been around for nearly a decade, but the success rate, cost, and availability of these procedures have grown so much more viable! As we continue on in our endeavors to cure diseases, illness, correct injuries, and correct the overall health of our bodies, lasers will be an integral part of that process! 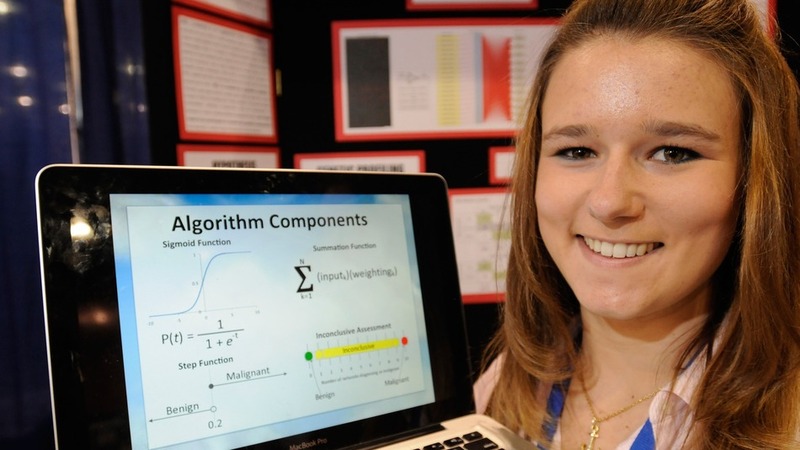 This is Brittany Wenger, the developer of the Leukemia seeking algorithm! She was a high school senior at the time! This is one of many examples of our young people making strides for our country, and for our people. A dedicated student, who is clearly years ahead of the rest of, is pioneering a new method of diagnosing maladies. By using computer technology and math, she was able to do what conventional medicine could, except exponentially better! It's wonderful when different sciences come together to solve problems that individually they just simply weren't equipped to handle! Below are some of the links that depict how we are making improvements in health and medicine, and why they should be more available to the public! This link in particular is testament to why we need to develop better medicines, and technologies to combat illness/disease. It is especially important to get these cures, or treatments to every citizen not just the few who can afford them!